The provisions of the Texas statutes that permit the filing of mechanics liens and materialman's liens on construction projects can be found in Texas's Mechanics' Lien Law, V.T.C.A.. Property Code § 53.001 et. seq. 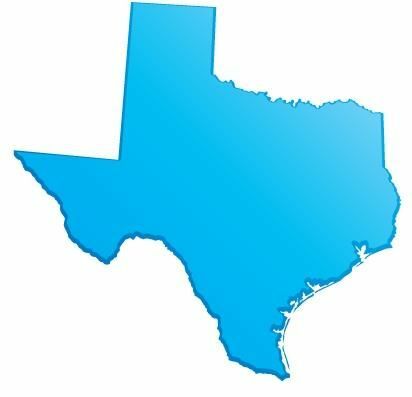 The full text of the Texas Construction Lien Law is provided below, and has been updated as of 2011. To see a quick synopsis of the most important provisions, take a look at our Texas Frequently Asked Questions page. (1) “Contract price” means the cost to the owner for any part of construction or repair performed under an original contract. (3) “Labor” means labor used in the direct prosecution of the work. (5) “Mechanic’s lien” means the lien provided by this chapter. (6) “Original contract” means an agreement to which an owner is a party either directly or by implication of law. (7) “Original contractor” means a person contracting with an owner either directly or through the owner’s agent. (9) “Residential construction contract” means a contract between an owner and a contractor in which the contractor agrees to construct or repair the owner’s residence, including improvements appurtenant to the residence. (10) “Residential construction project” means a project for the construction or repair of a new or existing residence, including improvements appurtenant to the residence, as provided by a residential construction contract. (12) “Specially fabricated material” means material fabricated for use as a component of the construction or repair so as to be reasonably unsuitable for use elsewhere. (13) “Subcontractor” means a person who has furnished labor or materials to fulfill an obligation to an original contractor or to a subcontractor to perform all or part of the work required by an original contract. (14) “Work” means any part of construction or repair performed under an original contract. (15) “Completion” of an original contract means the actual completion of the work, including any extras or change orders reasonably required or contemplated under the original contract, other than warranty work or replacement or repair of the work performed under the contract. On any work there may be more than one original contractor for purposes of this chapter. (b) Any notice or other written communication may be delivered in person to the party entitled to the notice or to that party’s agent, regardless of the manner prescribed by law. Click Here to File a Texas Document. (2) the person labors, specially fabricates the material, or furnishes the labor or materials under or by virtue of a contract with the owner or the owner’s agent, trustee, receiver, contractor, or subcontractor. (c) An architect, engineer, or surveyor who prepares a plan or plat under or by virtue of a written contract with the owner or the owner’s agent, trustee, or receiver in connection with the actual or proposed design, construction, or repair of improvements on real property or the location of the boundaries of real property has a lien on the property. (d) A person who provides labor, plant material, or other supplies for the installation of landscaping for a house, building, or improvement, including the construction of a retention pond, retaining wall, berm, irrigation system, fountain, or other similar installation, under or by virtue of a written contract with the owner or the owner’s agent, trustee, or receiver has a lien on the property. (d) A person who provides labor, plant material, or other supplies for the installation of landscaping for a house, building, or improvement, including the construction of a retention pond, retaining wall, berm, irrigation system, fountain, or other similar installation, under or by virtue of a written contract with the owner or the owner’s agent, contractor, subcontractor, trustee, or receiver has a lien on the property. (e) A person who performs labor as part of, or who furnishes labor or materials for, the demolition of a structure on real property under or by virtue of a written contract with the owner of the property or the owner’s agent, trustee, receiver, contractor, or subcontractor has a lien on the property. (a) The lien extends to the house, building, fixtures, or improvements, the land reclaimed from overflow, or the railroad and all of its properties, and to each lot of land necessarily connected or reclaimed. A lien for retainage is valid only for the amount specified to be retained in the contract, including any amendments to the contract, between the claimant and the original contractor or between the claimant and a subcontractor. (b) In this section, “owner” does not include a person who has or claims a security interest only. To perfect the lien, a person must comply with this subchapter. (a) Except as provided by Subsection (b), the person claiming the lien must file an affidavit with the county clerk of the county in which the property is located or into which the railroad extends not later than the 15th day of the fourth calendar month after the day on which the indebtedness accrues. (a) For purposes of Section 53.052, indebtedness accrues on a contract under which a plan or plat is prepared, labor was performed, materials furnished, or specially fabricated materials are to be furnished in accordance with this section. (a) A person who files an affidavit must send a copy of the affidavit by registered or certified mail to the owner or reputed owner at the owner’s last known business or residence address not later than the fifth day after the date the affidavit is filed with the county clerk. (b) If the person is not an original contractor, the person must also send a copy of the affidavit to the original contractor at the original contractor’s last known business or residence address within the same period. (a) Except as provided by Subchapter K,1 a claimant other than an original contractor must give the notice prescribed by this section for the lien to be valid. (b) If the lien claim arises from a debt incurred by a subcontractor, the claimant must give to the original contractor written notice of the unpaid balance. The claimant must give the notice not later than the 15th day of the second month following each month in which all or part of the claimant’s labor was performed or material delivered. The claimant must give the same notice to the owner or reputed owner and the original contractor not later than the 15th day of the third month following each month in which all or part of the claimant’s labor was performed or material or specially fabricated material was delivered. (a) A claimant may give notice under this section instead of or in addition to notice under Section 53.056 or 53.252 if the claimant is to labor, furnish labor or materials, or specially fabricate materials, or has labored, furnished labor or materials, or specially fabricated materials, under an agreement with an original contractor or a subcontractor providing for retainage. (2) the 30th day after the date the original contract is terminated or abandoned . (a) Except as provided by Subchapter K,1 a claimant who specially fabricates material must give notice under this section for the lien to be valid. (a) If an owner receives notice under Section 53.056, 53.057, 53.058, 53.252, or 53.253, the owner may withhold from payments to the original contractor an amount necessary to pay the claim for which he receives notice. (c) If notice is sent under Section 53.057, the owner may withhold funds immediately on receipt of a copy of the claimant’s affidavit prepared in accordance with Sections 53.052 through 53.055. (a) The claimant may make written demand for payment of the claim to an owner authorized to withhold funds under this subchapter. The demand must give notice to the owner that all or part of the claim has accrued under Section 53.053 or is past due according to the agreement between the parties. (c) The claimant’s demand may accompany the original notice of nonpayment or of a past-due claim and may be stamped or written in legible form on the face of the notice. (a) Except for the amount required to be retained under Subchapter E,1 the owner is not liable for any amount paid to the original contractor before the owner is authorized to withhold funds under this subchapter. (b) If the owner has received the notices required by Subchapter C2 or K,3 if the lien has been secured, and if the claim has been reduced to final judgment, the owner is liable and the owner’s property is subject to a claim for any money paid to the original contractor after the owner was authorized to withhold funds under this subchapter. The owner is liable for that amount in addition to any amount for which he is liable under Subchapter E.
(a) Any person who furnishes labor or materials for the construction of improvements on real property shall, if requested and as a condition of payment for such labor or materials, provide to the requesting party, or the party’s agent, an affidavit stating that the person has paid each of the person’s subcontractors, laborers, or materialmen in full for all labor and materials provided to the person for the construction. In the event, however, that the person has not paid each of the person’s subcontractors, laborers, or materialmen in full, the person shall state in the affidavit the amount owed and the name and, if known, the address and telephone number of each subcontractor, laborer, or materialman to whom the payment is owed. (b) The seller of any real property shall, upon request by the purchaser or the purchaser’s agent prior to closing of the purchase of the real property, provide to the purchaser or the purchaser’s agent, a written affidavit stating that the seller has paid each of the seller’s contractors, laborers, or materialmen in full for all labor and materials provided to the seller through the date specified in the affidavit for any construction of improvements on the real property and that the seller is not indebted to any person, firm, or corporation by reason of any such construction through the date specified in the affidavit. In the event that the seller has not paid each of the seller’s contractors, laborers, or materialmen in full for labor and material provided through the date specified in the affidavit, the seller shall state in the affidavit the amount owed and the name and, if known, the address and telephone number of each contractor, laborer, or materialman to whom the payment is owed. (b) In this section, “owner” includes the owner’s agent, trustee, or receiver. The retained funds secure the payment of artisans and mechanics who perform labor or service and the payment of other persons who furnish material, material and labor, or specially fabricated material for any contractor, subcontractor, agent, or receiver in the performance of the work. (a) Individual artisans and mechanics are entitled to a preference to the retained funds and shall share proportionately to the extent of their claims for wages and fringe benefits earned. (a) If the owner fails or refuses to comply with this subchapter, the claimants complying with Subchapter C or this subchapter have a lien, at least to the extent of the amount that should have been retained from the original contract under which they are claiming, against the house, building, structure, fixture, or improvement and all of its properties and against the lot or lots of land necessarily connected. (6) a conspicuous statement that a claimant may not have a lien on retained funds unless the claimant files an affidavit claiming a lien not later than the 40th day after the date the work under the original contract is completed . (e) Repealed by Acts 1999, 76th Leg., ch. 889, § 12, eff. Sept. 1, 1999. (d) If an owner is required to send a notice to a subcontractor under this section and fails to send the notice, the subcontractor is not required to comply with Section 53.057 to claim retainage and may claim a lien by filing a lien affidavit as prescribed by Section 53.052 . All subcontractors, laborers, and materialmen who have a mechanic’s lien have preference over other creditors of the original contractor. (a) Except as provided by Subchapter E1 and Section 53.124(e), perfected mechanic’s liens are on equal footing without reference to the date of filing the affidavit claiming the lien. (b) If the proceeds of a foreclosure sale of property are insufficient to discharge all mechanic’s liens against the property, the proceeds shall be paid pro rata on the perfected mechanic’s liens on which suit is brought. (a) Except as provided by this section, a mechanic’s lien attaches to the house, building, improvements, or railroad property in preference to any prior lien, encumbrance, or mortgage on the land on which it is located, and the person enforcing the lien may have the house, building, improvement, or any piece of the railroad property sold separately. (b) The mechanic’s lien does not affect any lien, encumbrance, or mortgage on the land or improvement at the time of the inception of the mechanic’s lien, and the holder of the lien, encumbrance, or mortgage need not be made a party to a suit to foreclose the mechanic’s lien. (a) Except as provided by Subsection (e), for purposes of Section 53.123, the time of inception of a mechanic’s lien is the commencement of construction of improvements or delivery of materials to the land on which the improvements are to be located and on which the materials are to be used. (d) An affidavit filed in compliance with this section is prima facie evidence of the date of the commencement of the improvement described in the affidavit. The time of inception of a mechanic’s lien arising from work described in an affidavit of commencement is the date of commencement of the work stated in the affidavit. (e) The time of inception of a lien that is created under Section 53.021(c), (d), or (e) is the date of recording of an affidavit of lien under Section 53.052. The priority of a lien claimed by a person entitled to a lien under Section 53.021(c), (d), or (e) with respect to other mechanic’s liens is determined by the date of recording. A lien created under Section 53.021(c), (d), or (e) is not valid or enforceable against a grantee or purchaser who acquires an interest in the real property before the time of inception of the lien. (a) A creditor of an original contractor may not collect, enforce a security interest against, garnish, or levy execution on the money due the original contractor or the contractor’s surety from the owner, and a creditor of a subcontractor may not collect, enforce a security interest against, garnish, or levy execution on the money due the subcontractor, to the prejudice of the subcontractors, mechanics, laborers, materialmen, or their sureties. (a) When a debt for labor or materials is satisfied or paid by collected funds, the person who furnished the labor or materials shall, not later than the 10th day after the date of receipt of a written request, furnish to the requesting person a release of the indebtedness and any lien claimed, to the extent of the indebtedness paid. An owner, the original contractor, or any person making the payment may request the release. (a) If an affidavit claiming a mechanic’s lien is filed by a person other than the original contractor, the original contractor shall defend at his own expense a suit brought on the claim. (b) If the suit results in judgment on the lien against the owner or the owner’s property, the owner is entitled to deduct the amount of the judgment and costs from any amount due the original contractor. If the owner has settled with the original contractor in full, the owner is entitled to recover from the original contractor any amount paid for which the original contractor was originally liable. A mechanic’s lien may be foreclosed only on judgment of a court of competent jurisdiction foreclosing the lien and ordering the sale of the property subject to the lien. If the house, building, improvement, or any piece of railroad property is sold separately, the officer making the sale shall place the purchaser in possession. The purchaser is entitled to a reasonable time after the date of purchase within which to remove the purchased property. In any proceeding to foreclose a lien or to enforce a claim against a bond issued under Subchapter H, I, or J or in any proceeding to declare that any lien or claim is invalid or unenforceable in whole or in part, the court shall award costs and reasonable attorney’s fees as are equitable and just. With respect to a lien or claim arising out of a residential construction contract, the court is not required to order the property owner to pay costs and attorney’s fees under this section. (a) Except as provided by Subsection (b), suit must be brought to foreclose the lien within two years after the last day a claimant may file the lien affidavit under Section 53.052 or within one year after completion, termination, or abandonment of the work under the original contract under which the lien is claimed, whichever is later. (f) A person, other than a claimant requested to furnish information under Subsection (d), who fails to furnish information as required by this section is liable to the requesting person for that person’s reasonable and necessary costs incurred in procuring the requested information. (g) A subcontractor who does not receive information requested under Subsection (a)(4) within the period prescribed by Subsection (a) is not required to comply with Section 53.057 and may perfect a lien for retainage by filing a lien affidavit under Section 53.052. This subsection expires September 1, 2013. (a) In a suit brought to foreclose a lien or to declare a claim or lien invalid or unenforceable, a party objecting to the validity or enforceability of the claim or lien may file a motion to remove the claim or lien. The motion must be verified and state the legal and factual basis for objecting to the validity or enforceability of the claim or lien. The motion may be accompanied by supporting affidavits. (e) The court shall promptly determine a motion to remove a claim or lien under this section. If the court determines that the movant is not entitled to remove the lien, the court shall enter an order denying the motion. If the court determines that the movant is entitled to remove the lien, the court shall enter an order removing the lien claimed in the lien affidavit. A party to the proceeding may not file an interlocutory appeal from the court’s order. (f) Any admissible evidence offered at the hearing may be admitted in the trial of the case. The court’s order under Subsection (e) is not admissible as evidence in determining the validity and enforceability of the claim or lien. (a) In the order removing a lien, the court shall set the amount of security that the claimant may provide in order to stay the removal of the claim or lien. The sum must be an amount that the court determines is a reasonable estimate of the costs and attorney’s fees the movant is likely to incur in the proceeding to determine the validity or enforceability of the lien. The sum may not exceed the amount of the lien claim. (2) conditioned on the claimant’s payment of any final judgment rendered against the claimant in the proceeding for attorney’s fees and costs to the movant under Section 53.156. (a) If an order removing the lien is not stayed as provided by Section 53.161 and the claimant later obtains a final judgment in the suit establishing the validity and ordering the foreclosure of the lien, the claimant may file a certified copy of the final judgment with the county clerk. (a) If a lien, other than a lien granted by the owner in a written contract, is fixed or is attempted to be fixed by a recorded instrument under this chapter, any person may file a bond to indemnify against the lien. (a) After the bond is filed, the county clerk shall issue notice of the bond to all named obligees. (d) If the claimant’s lien affidavit does not state the claimant’s address, the notice is not required to be mailed to the claimant. (a) The county clerk shall record the bond, the notice, and a certificate of mailing in the real property records. (a) A party making or holding a lien claim may not sue on the bond later than one year after the date on which the notice is served or after the date on which the underlying lien claim becomes unenforceable under Section 53.158. (a) An original contractor who has a written contract with the owner may furnish at any time a bond for the benefit of claimants. (B) the toll-free telephone number maintained by the Texas Department of Insurance under Subchapter B,1 Chapter 521, Insurance Code, and a statement that the address of the surety company to which any notice of claim should be sent may be obtained from the Texas Department of Insurance by calling the toll-free telephone number. (a) The bond and the contract between the original contractor and the owner shall be filed with the county clerk of the county in which is located all or part of the owner’s property on which the construction or repair is being performed or is to be performed. A memorandum of the contract or a copy of the contract may be substituted for the original. (c) The county clerk shall record the bond and place the contract on file in the clerk’s office and shall index and cross-index both in the names of the original contractor and the owner in records kept for that purpose. A purchaser, lender, or other person acquiring an interest in the owner’s property or an insurer of title is entitled to rely on the record of the bond and contract as constituting payment of all claims and liens for labor, subcontracts, materials, or specially fabricated materials incurred by the original contractor as if the purchaser, lender, or other person acquiring an interest in the owner’s property or an insurer of title were the owner who approved, accepted, and endorsed the bond and as if each person furnishing labor or materials for the work performed under the original contract, other than the original contractor, had filed a complete release and relinquishment of lien of record. (a) If the owner receives any of the notices or a lien is fixed under Subchapter C1 or K2, the owner shall mail to the surety on the bond a copy of all notices received. (a) A claimant may sue the principal and surety on the bond either jointly or severally, if his claim remains unpaid for 60 days after the claimant perfects the claim. If valid claims against the bond exceed the penal sum of the bond, each claimant is entitled to a pro rata share of the penal sum. (a) A person who furnishes material or labor to a contractor under a prime contract with a governmental entity other than a municipality or a joint board created under Subchapter D, Chapter 22, Transportation Code, that does not exceed $25,000 and that is for public improvements in this state and who gives notice required by this subchapter has a lien on the money, bonds, or warrants due the contractor for the improvements. (b) A person who furnishes material or labor to a contractor under a prime contract with a municipality or a joint board created under Subchapter D, Chapter 22, Transportation Code, that does not exceed $50,000 and that is for public improvements in this state and who gives notice required by this subchapter has a lien on the money, bonds, or warrants due the contractor for the improvements. (2) the contractor at the contractor’s last known business or residence address. (6) the claimant’s business address. The lien claimant must give notice not later than the 15th day of the second month following the month in which the labor was performed or the material furnished. A public official who receives the notice may not pay all of the money, bonds, or warrants due the contractor, but shall retain enough to pay the claim for which notice is given. (a) If a claim is filed attempting to fix a lien under this subchapter, the contractor against whom the claim is made may file a bond with the officials of the state, county, town, or municipality whose duty it is to pay the money, bonds, or warrants to the contractor. (b) If the bond is approved by the proper official, its filing releases and discharges all liens fixed or attempted to be fixed by the filing of a claim, and the appropriate officials shall pay the money, bonds, or warrants to the contractor or the contractor’s assignee. The official with whom the bond is filed shall send an exact copy of the bond by registered mail or certified mail, return receipt requested, to all claimants. (a) A claimant must sue on the bond within six months after the bond is filed. (a) This subchapter applies only to residential construction projects. (a) A claimant other than an original contractor must give the notice prescribed by this section for the lien to be valid. If the property that is the subject of the lien is a homestead, the notice must also comply with Section 53.254. (b) The claimant must give to the owner or reputed owner and the original contractor written notice of the unpaid balance. The claimant must give the notice not later than the 15th day of the second month following each month in which all or part of the claimant’s labor was performed or material or specially fabricated material was delivered. (d) The notice must be sent by registered or certified mail and must be addressed to the owner or reputed owner and the original contractor, as applicable, at the person’s last known business or residence address. (a) If specially fabricated materials have not been delivered to the property or incorporated in the residential construction project, the claimant who specially fabricates material for incorporation in the residential construction project must give notice under this section for the lien to be valid. (a) To fix a lien on a homestead, the person who is to furnish material or perform labor and the owner must execute a written contract setting forth the terms of the agreement. (a) Before a residential construction contract is executed by the owner, the original contractor shall deliver to the owner a disclosure statement described by this section. “KNOW YOUR RIGHTS AND RESPONSIBILITIES UNDER THE LAW. You are about to enter into a transaction to build a new home or remodel existing residential property. Texas law requires your contractor to provide you with this brief overview of some of your rights, responsibilities, and risks in this transaction. “CONVEYANCE TO CONTRACTOR NOT REQUIRED. Your contractor may not require you to convey your real property to your contractor as a condition to the agreement for the construction of improvements on your property. “KNOW YOUR CONTRACTOR. Before you enter into your agreement for the construction of improvements to your real property, make sure that you have investigated your contractor. Obtain and verify references from other people who have used the contractor for the type and size of construction project on your property. “GET IT IN WRITING. Make sure that you have a written agreement with your contractor that includes: (1) a description of the work the contractor is to perform; (2) the required or estimated time for completion of the work; (3) the cost of the work or how the cost will be determined; and (4) the procedure and method of payment, including provisions for statutory retainage and conditions for final payment. If your contractor made a promise, warranty, or representation to you concerning the work the contractor is to perform, make sure that promise, warranty, or representation is specified in the written agreement. An oral promise that is not included in the written agreement may not be enforceable under Texas law. “READ BEFORE YOU SIGN. Do not sign any document before you have read and understood it. NEVER SIGN A DOCUMENT THAT INCLUDES AN UNTRUE STATEMENT. Take your time in reviewing documents. If you borrow money from a lender to pay for the improvements, you are entitled to have the loan closing documents furnished to you for review at least one business day before the closing. Do not waive this requirement unless a bona fide emergency or another good cause exists, and make sure you understand the documents before you sign them. If you fail to comply with the terms of the documents, you could lose your property. You are entitled to have your own attorney review any documents. If you have any question about the meaning of a document, consult an attorney. “GET A LIST OF SUBCONTRACTORS AND SUPPLIERS. Before construction commences, your contractor is required to provide you with a list of the subcontractors and suppliers the contractor intends to use on your project. Your contractor is required to supply updated information on any subcontractors and suppliers added after the list is provided. Your contractor is not required to supply this information if you sign a written waiver of your rights to receive this information. “MONITOR THE WORK. Lenders and governmental authorities may inspect the work in progress from time to time for their own purposes. These inspections are not intended as quality control inspections. Quality control is a matter for you and your contractor. To ensure that your home is being constructed in accordance with your wishes and specifications, you should inspect the work yourself or have your own independent inspector review the work in progress. “MONITOR PAYMENTS. If you use a lender, your lender is required to provide you with a periodic statement showing the money disbursed by the lender from the proceeds of your loan. Each time your contractor requests payment from you or your lender for work performed, your contractor is also required to furnish you with a disbursement statement that lists the name and address of each subcontractor or supplier that the contractor intends to pay from the requested funds. Review these statements and make sure that the money is being properly disbursed. (2) During construction and for 30 days after final completion, termination, or abandonment of the contract by the contractor, you should withhold or cause your lender to withhold 10 percent of the amount of payments made for the work performed by your contractor. This is sometimes referred to as ‘statutory retainage.’ If you choose not to withhold the 10 percent for at least 30 days after final completion, termination, or abandonment of the contract by the contractor and if a valid claim is timely made by a claimant and your contractor fails to pay the claim, you may be personally liable and your property may be subject to a lien up to the amount that you failed to withhold. “If a claim is not paid within a certain time period, the claimant is required to file a mechanic’s lien affidavit in the real property records in the county where the property is located. A mechanic’s lien affidavit is not a lien on your property, but the filing of the affidavit could result in a court imposing a lien on your property if the claimant is successful in litigation to enforce the lien claim. “SOME CLAIMS MAY NOT BE VALID. When you receive a written notice of a claim or when a mechanic’s lien affidavit is filed on your property, you should know your legal rights and responsibilities regarding the claim. Not all claims are valid. A notice of a claim by a subcontractor or supplier is required to be sent, and the mechanic’s lien affidavit is required to be filed, within strict time periods. The notice and the affidavit must contain certain information. All claimants may not fully comply with the legal requirements to collect on a claim. If you have paid the contractor in full before receiving a notice of a claim and have fully complied with the law regarding statutory retainage, you may not be liable for that claim. Accordingly, you should consult your attorney when you receive a written notice of a claim to determine the true extent of your liability or potential liability for that claim. “OBTAIN A LIEN RELEASE AND A BILLS-PAID AFFIDAVIT. When you receive a notice of claim, do not release withheld funds without obtaining a signed and notarized release of lien and claim from the claimant. You can also reduce the risk of having a claim filed by a subcontractor or supplier by requiring as a condition of each payment made by you or your lender that your contractor furnish you with an affidavit stating that all bills have been paid. Under Texas law, on final completion of the work and before final payment, the contractor is required to furnish you with an affidavit stating that all bills have been paid. If the contractor discloses any unpaid bill in the affidavit, you should withhold payment in the amount of the unpaid bill until you receive a waiver of lien or release from that subcontractor or supplier. “WAIVER OF THE LIST OF SUBCONTRACTORS AND SUPPLIERS. AN OWNER IS NOT REQUIRED TO WAIVE THE RIGHT GRANTED BY SECTION 53.256, PROPERTY CODE, TO RECEIVE FROM THE CONTRACTOR AN ORIGINAL OR UPDATED LIST OF SUBCONTRACTORS AND SUPPLIERS. “BY SIGNING THIS DOCUMENT, I AGREE TO WAIVE MY RIGHT TO RECEIVE FROM THE CONTRACTOR AN ORIGINAL OR UPDATED LIST OF SUBCONTRACTORS AND SUPPLIERS. “I UNDERSTAND AND ACKNOWLEDGE THAT, AFTER SIGNING THIS DOCUMENT, THIS WAIVER MAY NOT BE CANCELED AT A LATER DATE. (a) If the owner is obtaining third-party financing for the construction of improvements under a residential construction contract, the lender shall deliver to the owner all documentation relating to the closing of the loan not later than one business day before the date of the closing. If a bona fide emergency or another good cause exists and the lender obtains the written consent of the owner, the lender may provide the documentation to the owner or the lender may modify previously provided documentation on the date of closing. (c) The lender shall provide to the owner the lender’s disbursement statement and the disbursement statement the lender obtained from the contractor before the lender disburses the funds to the original contractor. The disbursement statements may be provided in any manner agreed to by the lender and the owner. (a) As a condition of final payment under a residential construction contract, the original contractor shall, at the time the final payment is tendered, execute and deliver to the owner, or the owner’s agent, an affidavit stating that the original contractor has paid each person in full for all labor and materials used in the construction of improvements on the real property. If the original contractor has not paid each person in full, the original contractor shall state in the affidavit the amount owed and the name and, if known, the address and telephone number of each person to whom a payment is owed. (b) The seller of any real property on which a structure of not more than four units is constructed and that is intended as the principal place of residence for the purchaser shall, at the closing of the purchase of the real property, execute and deliver to the purchaser, or the purchaser’s agent, an affidavit stating that the seller has paid each person in full for all labor and materials used in the construction of improvements on the real property and that the seller is not indebted to any person by reason of any construction. In the event that the seller has not paid each person in full, the seller shall state in the affidavit the amount owed and the name and, if known, the address and telephone number of each person to whom a payment is owed. An original contractor may not require an owner of real property to convey the real property to the original contractor or an entity controlled by the original contractor as a condition to the performance of the residential construction contract for improvements to the real property.